​and see you in León! 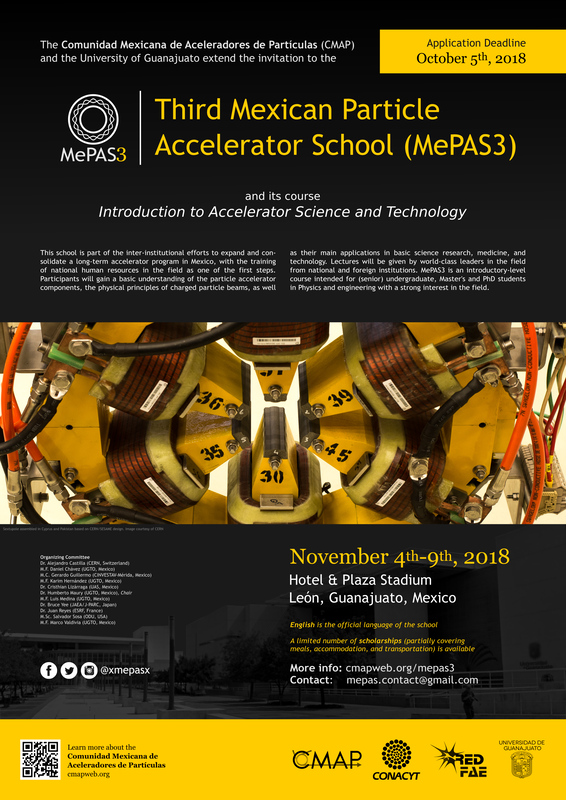 The third edition of the Mexican Particle Accelerator School (MePAS3) is organized by the Comunidad Mexicana de Aceleradores de Partículas (CMAP, Mexican Particle Accelerator Community), with the full support of the Consejo Nacional de Ciencia y Tecnología (CONACYT), the Red de Física de Altas Energías, and the University of Guanajuato. The school is part of the inter-institutional efforts to expand and consolidate a long-term accelerator program in Mexico, with the training of national human resources in the field as one of the first steps. Participants of MePAS3 will gain a basic understanding of the particle accelerator components, the physical principles of charged particle beams, as well as their main applications in basic science research, medicine, and technology. Lectures will be given by world-class leaders in the field from national and foreign institutions with whom the participants will get the opportunity to interact with. ​To whom it is addressed?  MePAS3 is an introductory-level course. The school is intended for outstanding senior undergraduate students (last year of their program) and for Master's and PhD students in Physics and engineering (mechanics, electronics, or similar disciplines) with a strong interest in the field of particle accelerators and technology. ​The course is composed of a series of morning lectures, followed by lab sessions and seminars in the afternoons. Lab sessions are focused on hands-on measurements. Homework problems from each lecture will be assigned on a daily basis, and they are due for the following day. During the evening homework and tutorial sessions, the lecturers will be at the students' disposal to answer their questions and help with their homework. There will be a final exam on the last day of the school. ​​Students will be evaluated based on their performance. Their final grade is calculated as follow: 40% homework assignments, 30% lab report, and 30% final exam. OPrerequisites: Calculus, Algebra, and Electromagnetism. English is the official language of the school; all candidates must have advanced communication skills in this language. Transcript with point grade average (kárdex). Cover letter stating why you want to attend the school and how will you benefit from it (in English). One letter of recommendation from your supervisor or professor. Accepted students will be notified by October 9th, 2018.
of the ​MePAS3 poster and share it!